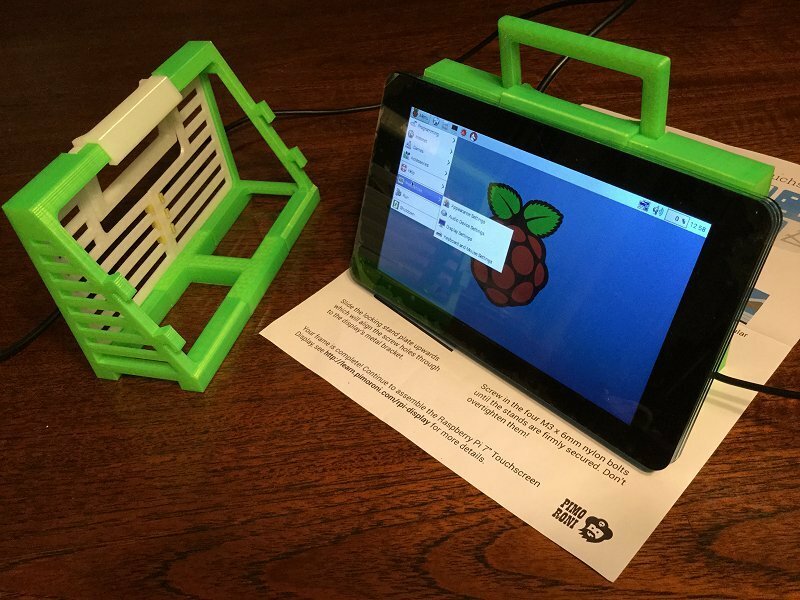 Stand for Pimoroni’s Pi case #3DPrinting « Adafruit Industries – Makers, hackers, artists, designers and engineers! 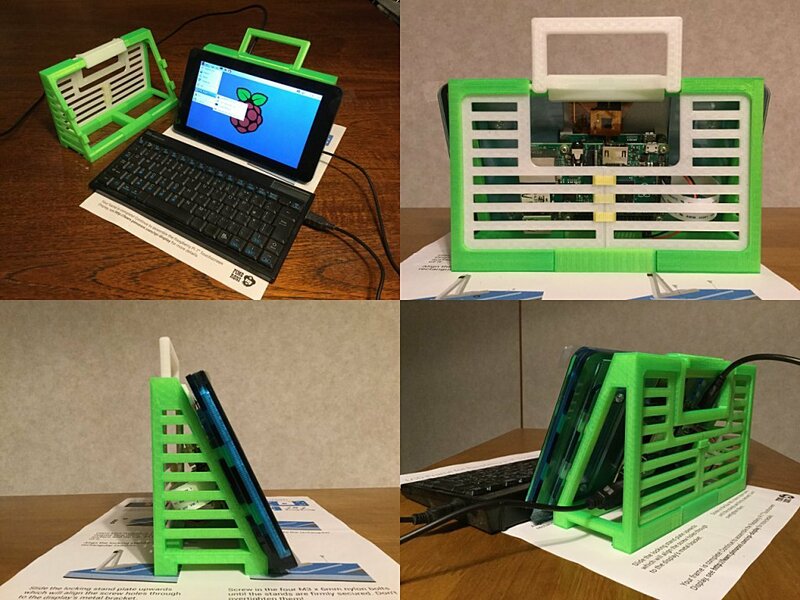 This display stand frame was designed for Raspberry Pi Official 7 inch TouchScreen with PIMORONI’s acrylic resin frame. It is substitutive part for PIMORONI’s acrylic triangular cutouts in brief. 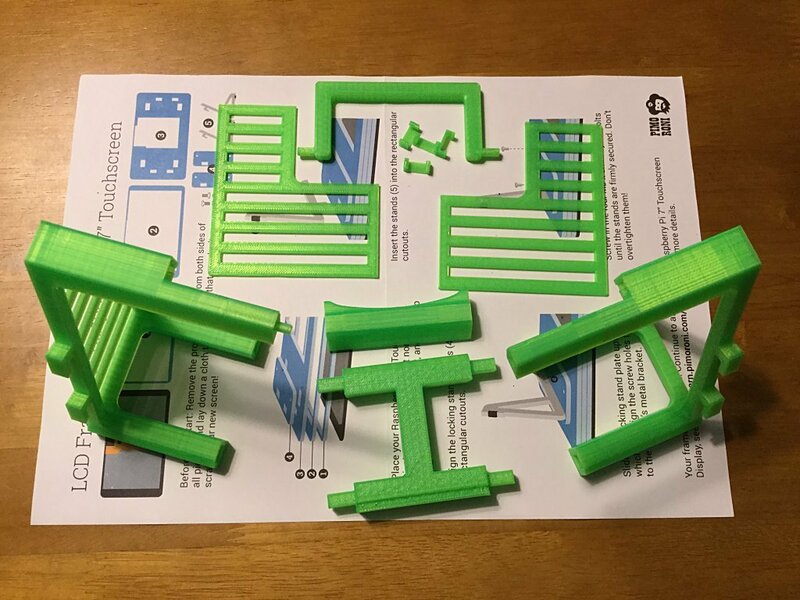 Please print 8 kinds of STL files out and joint each other. Some pictures and a cad data file will be for your reference. -STL files for 3D Printing. Carrying handle was designed for temporary using only. It’s not for any heavy duty works.